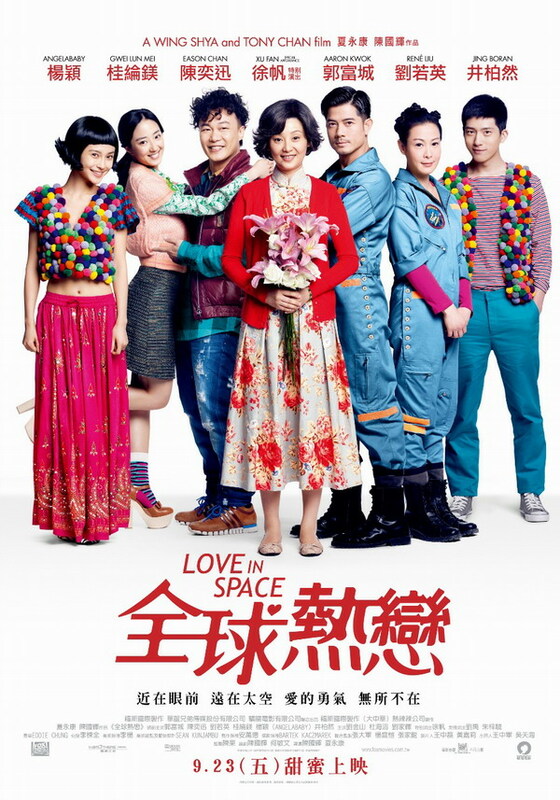 To be honest, when I first heard of Love In Space, I didn't really wanted to watch it at first because I thought how different could love movies get? It would always be the usual girl meets boy, girl and boy fell in love, then girl and boy must face hardships and then girl and boy live happily ever after. It's always like that (and Korean love movies don't count because there will be people dying). Until my friend made me watch the trailer, that is. 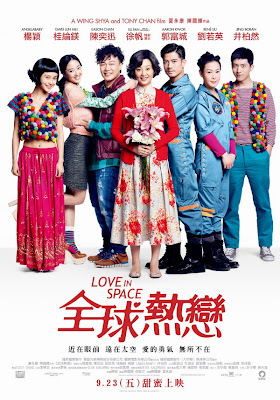 Set in three different locations, Shanghai, Sydney and even in outer space (in ISS, International Space Station), Love In Space follows the story of three sisters in their quest to find true love. The eldest sister (played by Rene Liu) is an aspiring astronaut who has worked very hard for very long time to be where she is today, an astronaut working aboard the ISS (International Space Station). The second daughter, who is living in Sydney, (played Gwei Lun Mei) is a mysophobic who is unable to keep a steady job and lead a normal life due to her condition. If you have no idea what mysophobia is, it's a psychological condition where someone has an extreme fear of germs and contamination and would go to great lengths like moping the floor at 3 am (which is what the character did) due to that fear. She used to be normal though but thanks to a guy who cheated her out of her money, the fear of rejection manifested itself as the disorder. The youngest daughter (played by the super pretty blogger Angelababy), on the other hand, happens to be a well known celebrity who has starred in many movies. The only downside is that all her notable performances are bad. Really bad. In fact, she has been winning the worst actress award for three consecutive years. And like all love stories, there is that special guy who appeared in each of their lives. Would they ever find love amidst their dreams, shortcomings and career? That's for you to find out. From my point of view, I love the movie a lot. I love the way how the director chose to frame the shots, the color he included and all the different locations featured in the movie. The movie gives off a very innocent and yet sweet kind of feel when I watched it. The shots are full of pastel colors, which paints a relaxing feel that I enjoyed really much. Also, the jokes incorporated in the movie also did their job really well. It's not lame, not corny and not cliche but really reflects the kind of situation that we face everyday. And it's really funny. The whole cinema was practically laughing most of the time. The only complain I have about the movie is the acting. Please don't make Hong Kong actors speak Mandarin please. I used to watch Aaron Kwok movies and he used to be much better with Cantonese. Even in the movie, one can see two sides of him. The forceful and fake acting when he's trying to speak Mandarin and the natural him when he's monologuing to himself. Same goes to Eason. But still, it's still a good thing because there's still a hint of Cantonese. The last time I watched a Hong Kong film in Singapore, the entire movie was horribly dubbed in Mandarin. Totally brings away the feel of the movie. Which is why I am grateful that they did not dub this movie and let in ran in its original audio, which includes Mandarin, Cantonese and also English. All in all, the movie is a good one if you're looking for a relaxing day out at the movies. It's light hearted, funny and great to watch. A perfect movie for couples too (I watched it with CT and she said she loved the movie too :p). An 8/10. Must watch. Yes, the cinematography was extremely good. Each of the three stories had a different "texture" to it. The austere whites and soft lighting in Lily's part; the medley of colors in Peong's, and that element of space (did you notice the faint hum? :)) in Rose's. A well-crafted film, if a little cliched.